The Boston Marathon is the world's oldest annual marathon and ranks as one of the world's best-known road racing events. The event attracts 500,000 spectators each year, making it New England's most widely viewed sporting event. Though starting with 18 participants in 1897, the event now attracts over 20,000 registered participants each year. You have to qualify to participate. Among the nation’s oldest athletic clubs, the B.A.A. was established in 1887, and, in 1896, more than half of the U.S. Olympic Team at the first modern games was composed of B.A.A. club members. The Olympic Games provided the inspiration for the first Boston Marathon, which culminated the B.A.A. Games on April 19, 1897. John J. McDermott emerged from a 15-member starting field to complete the course (then 24.5 miles) in a winning time of 2:55:10. 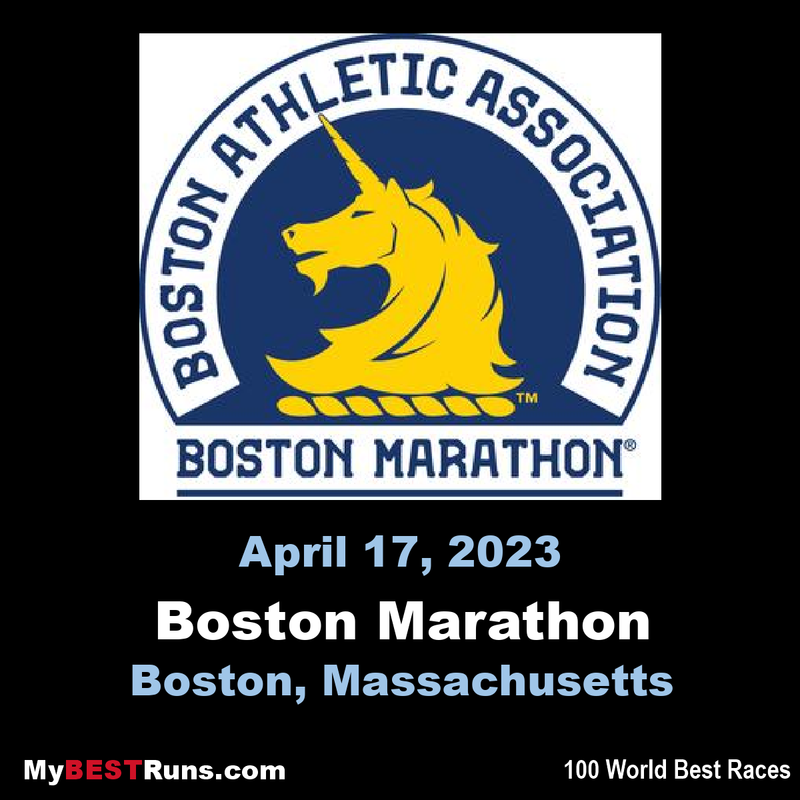 The Boston Marathon has since become the world’s oldest annually contested marathon. The addition of principal sponsor John Hancock Financial Services in 1986 has solidified the event’s success over the past 30 years and ensures it well into the future. The 124th Boston Marathon will be held on Monday, April 20, 2020, Patriots’ Day in the Commonwealth of Massachusetts, and for the 34th consecutive year the Boston Marathon will be sponsored by John Hancock. To qualify for the Boston Marathon, athletes must meet time standards which correspond to their age and gender. 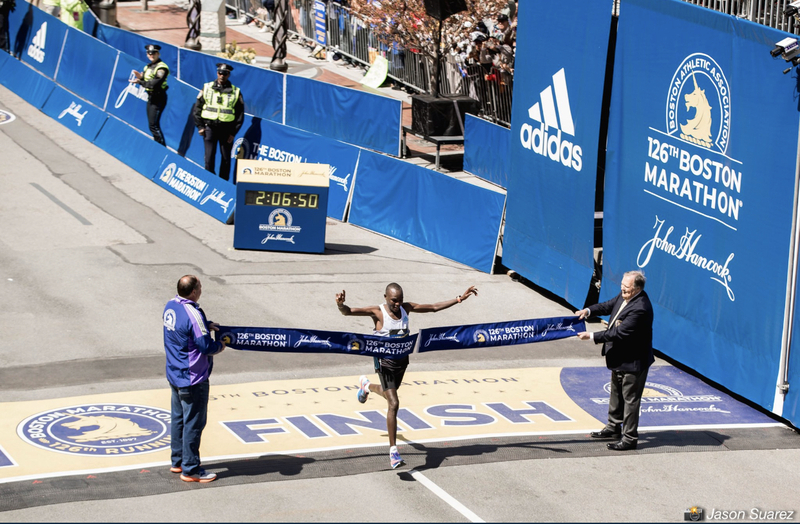 Boston is the most renown and illustrious marathon with amazing crowd support along a legendary point-to-point course. What more is there to say? It's the Boston Marathon. I ran the Boston Marathon for the first time in 2013 when I turned 65. I had been around the marathon for years but never had a chance to participant. All I can say is that I felt like a rock star the whole way. The crowd support is amazing. This was the most exciting running experience I have ever had. I finished in 3:32:17.